Most common law jurisdictions (US, Canada, Australia, etc.) are typically more technology-neutral. In addition, specific industries (e.g. healthcare or banking) or specific documents (e.g. marriage or adoption contracts) often require a higher level of e-signature or handwritten signature. What are the laws and regulations in Finland? Finland officially regulated electronic signatures through the Act on Strong Electronic Identification and Electronic Signatures (617/2009). On July 1, 2016, Regulation (EU) No 910/2014 on electronic identification and trust services for electronic transactions in the internal market (the “eIDAS Regulation”) came into force and replaced the former EU Directive on electronic signatures (1999/93/EC). The eIDAS Regulation, directly applicable in the 28 member countries of the European Union, brought uniformity – and much needed clarity – among the EU member states’ local legislations on electronic signatures. Is an electronic signature valid in Finland? Yes! Not only e-signatures are valid ... ... But they are actually more secure. Under eIDAS, a valid electronic signature may be "simple", advanced or qualified. All three levels of signature are legally valid and defensible in court. However, the probative value (ie. 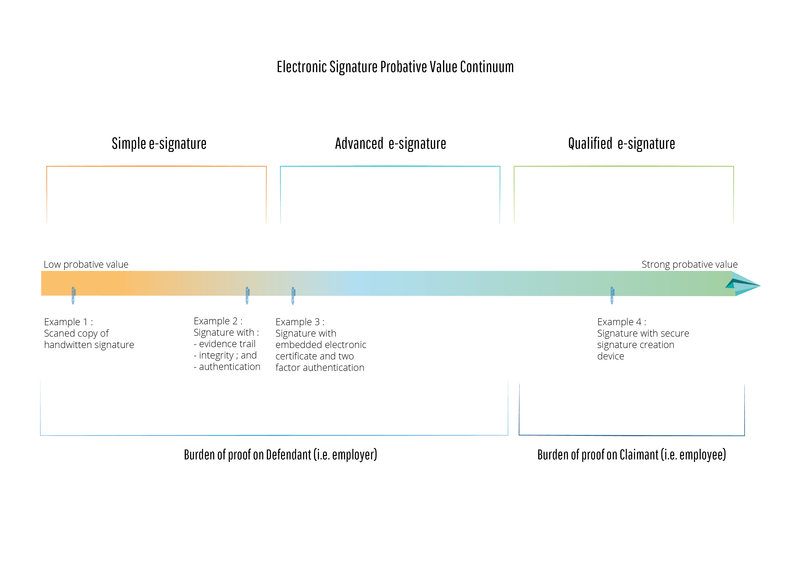 how easily the validity of the signature can be proven in court) will vary depending on the type (or level) of electronic signature as illustrated by the graph below. 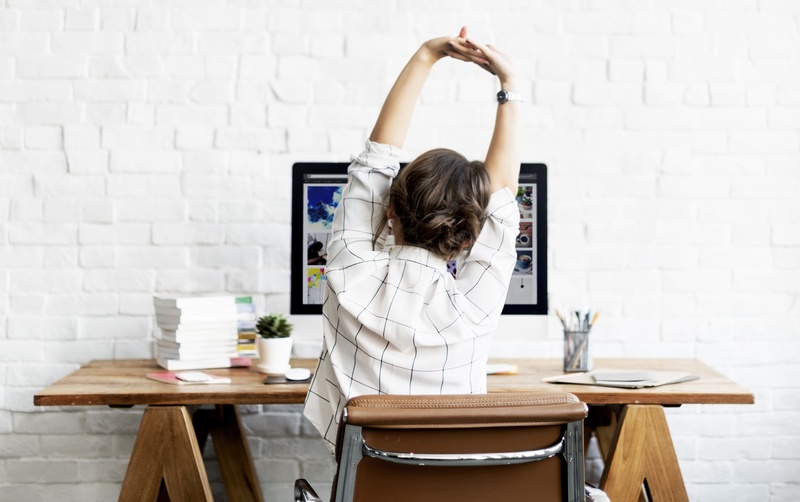 HR Best Practices: While the decision ultimately relies on how risk-adverse an employer might be, employers might elect to use an advanced electronic signature solution for employment agreements as well as other HR-related agreements, and rely on a strong simple e-signature solution for other less sensitive HR documents such as policies and performance reviews.